Darjeeling: North Bengal University's directive to hill colleges to conduct classes during winter has ruffled the feathers of teachers and students. Darjeeling sometimes experience sub-zero temperatures during winters but with the North Bengal University introducing Choice Based Credit System (CBCS), the hill colleges have been asked to hold classes during winters. "The CBCS system is basically a semester based system and from this year students will have to complete six semesters during their three years in college. The first semester period starts from July till December and the second semester period is held between January and June end," said a college teacher. Given the weather conditions of the hills, all educational institutions take a two month winter break from mid-December to mid-February. "However, with the introduction of semester system, the colleges will have to start the second semester within seven days of the first semester ending, which basically means one has to hold classes till December end and immediately resume classes from the first week of January," said the teacher. Before the introduction of semester system by NBU, hill colleges would close for the winter break and the yearly examination would be held between April to June.Sources said that the hill teacher had approached the university with their problem. The NBU officials, however, wrote to the heads of hill colleges stating that separate academic scheduled cannot be worked out for the plains and hills colleges. "The decision shall stand final inview of the seriousness of the introduction of CBCS and its consequences unless otherwise decided by the state government," the NBU letter reads. Student representatives from Southfield College on Thursday met Binay Tamang, chairman, board of administration, Gorkhaland Territorial Administration (GTA) and Amar Singh Rai, Darjeeling MLA, who is also GTA board member in charge of education on Thursday. "During winters it is difficult to attend classes because of the cold, evening finding paying guest accommodation (as Southfield college does not have its own hostel) will be difficult during winters as most people go to the plains during winters," said a student. The student cited the example of Sikkim University and North East Hill University which, despite having a similar system, have earmarked winter vacations. Rai said: "We will take up the matter with the Bengal government. 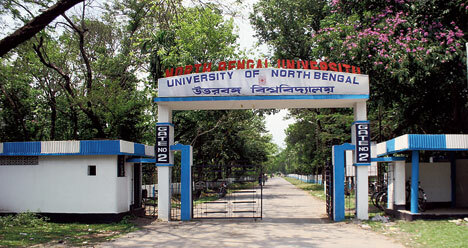 I have also spoken to the NBU authorities about concluding exams by 4pm during winters as the days are shorter." North Bengal University's directive to hill colleges to conduct classes during winter has ruffled the feathers of teachers and students.